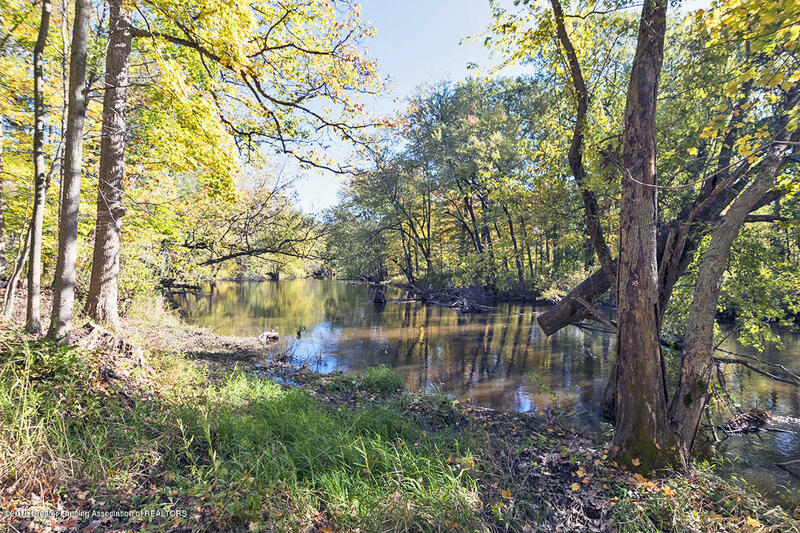 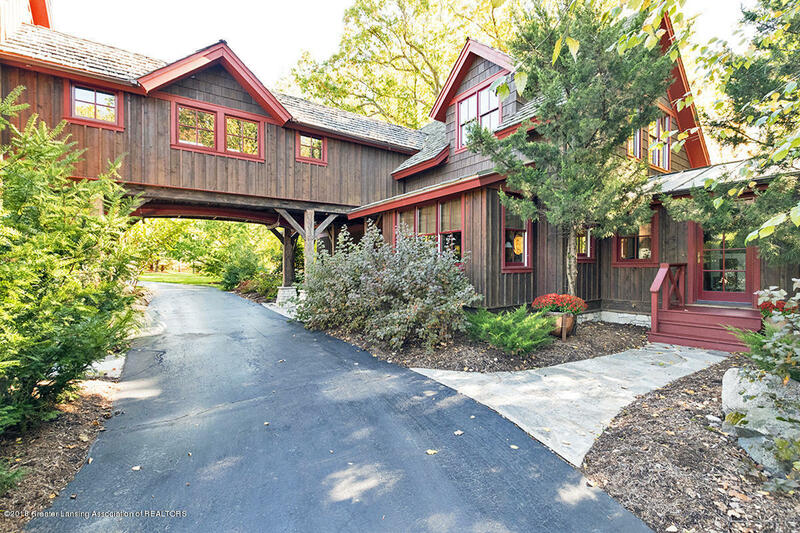 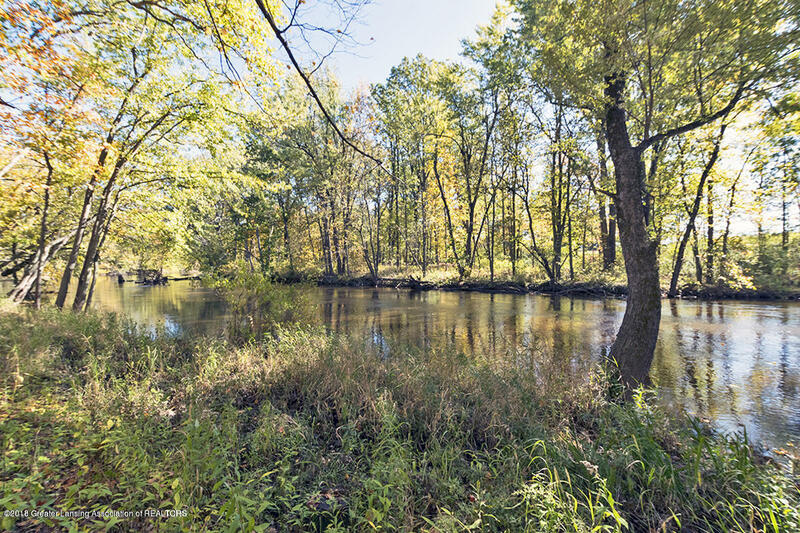 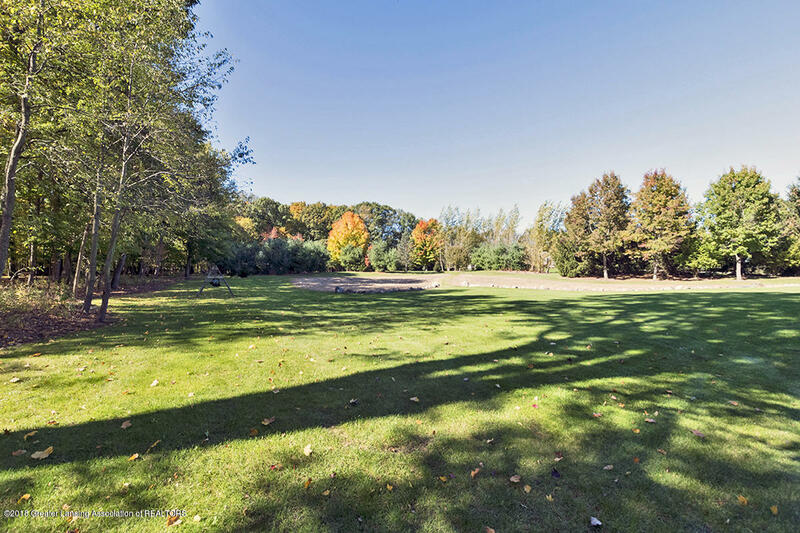 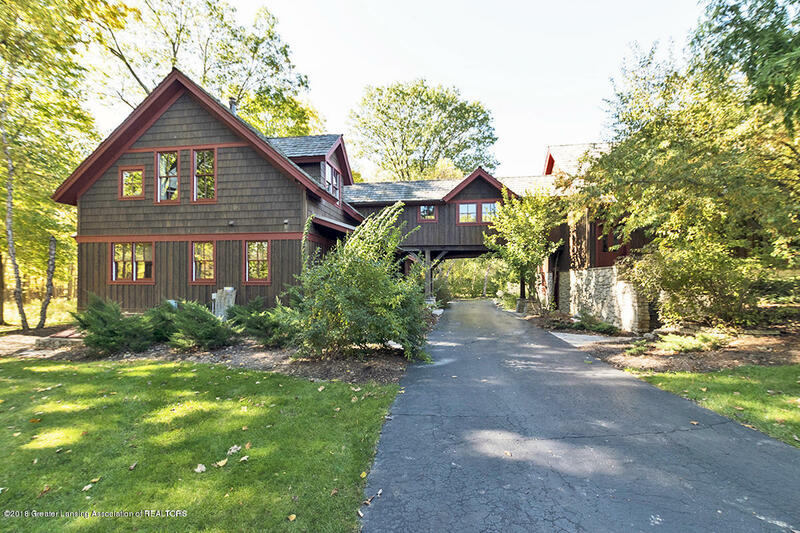 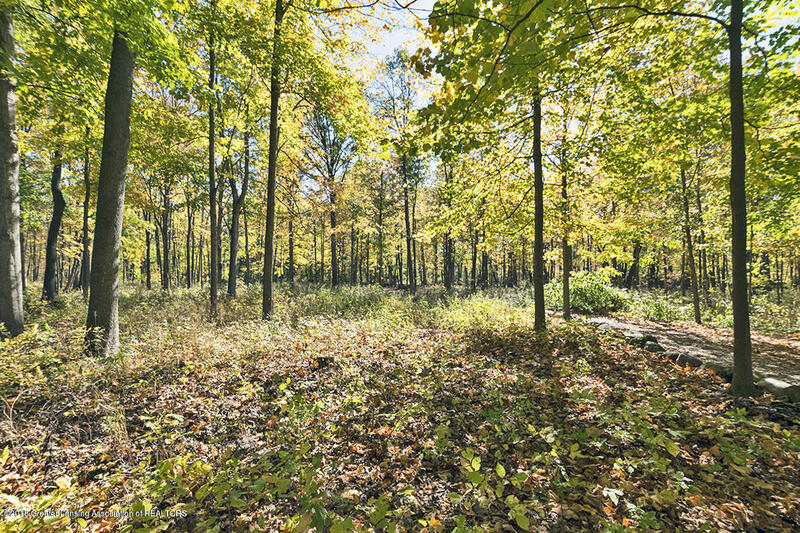 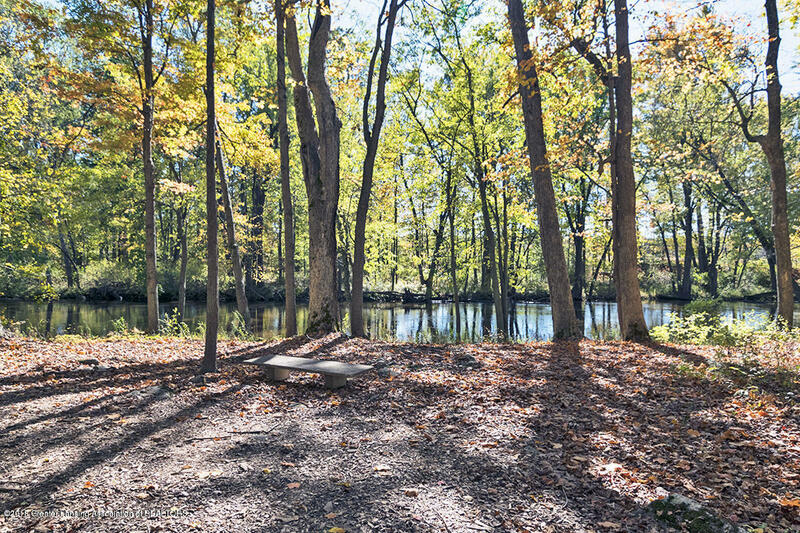 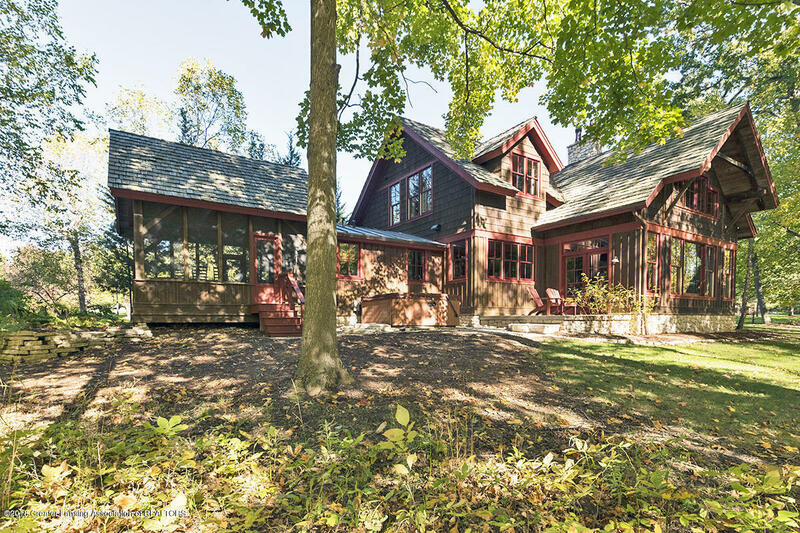 This secluded 3.6-acre woodland estate in the prestigious Cherry Valle neighborhood is lush with mature hardwoods, specimen plantings, and over 700-feet of frontage on the Red Cedar River. 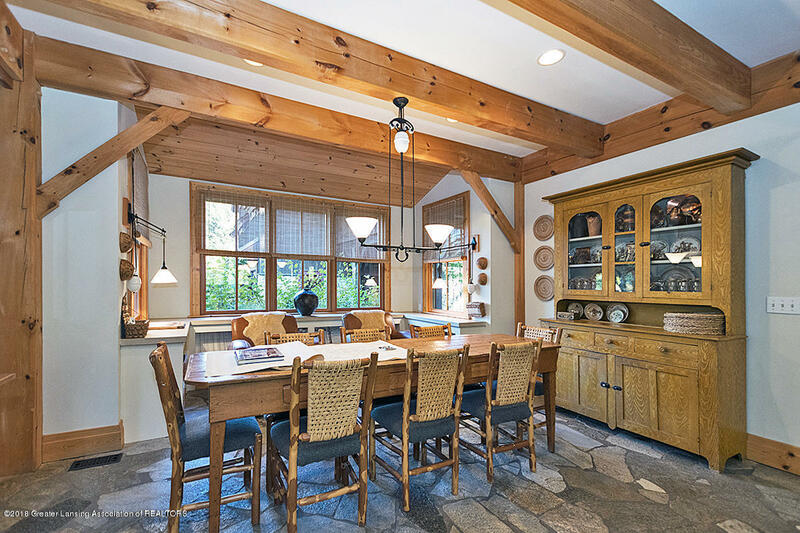 Privately situated in this beautiful setting is the stunning 4,344 sq. 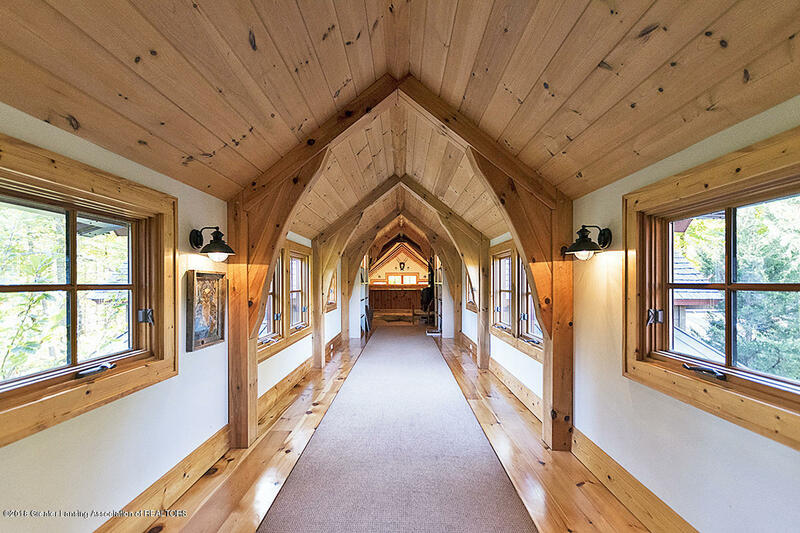 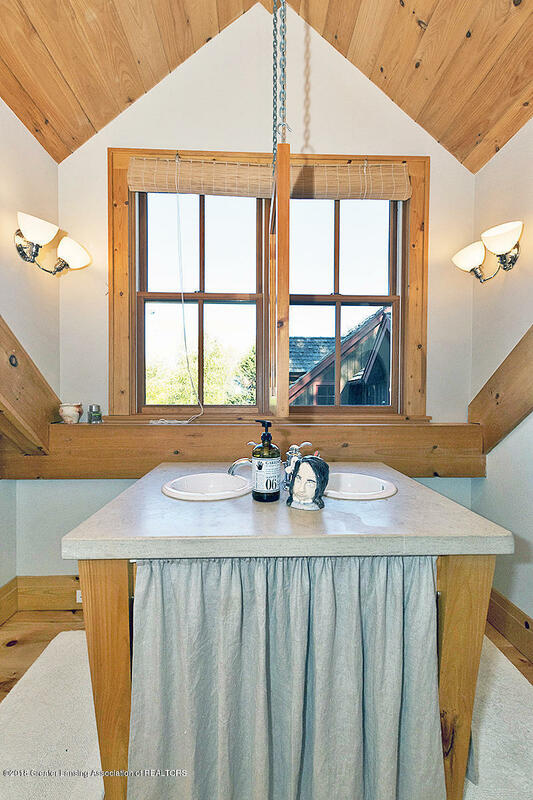 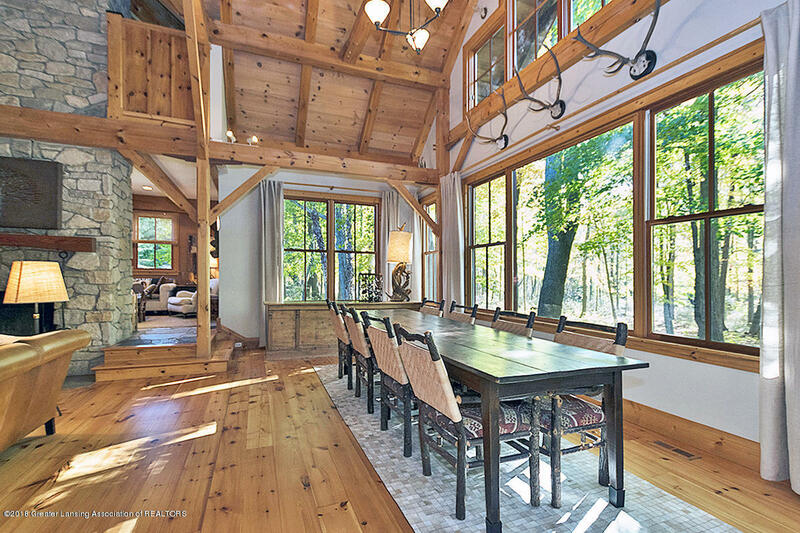 ft. timber-frame lodge home, crafted and engineered in New Hampshire by Bensonwood Homes, a company renown for post and beam design. 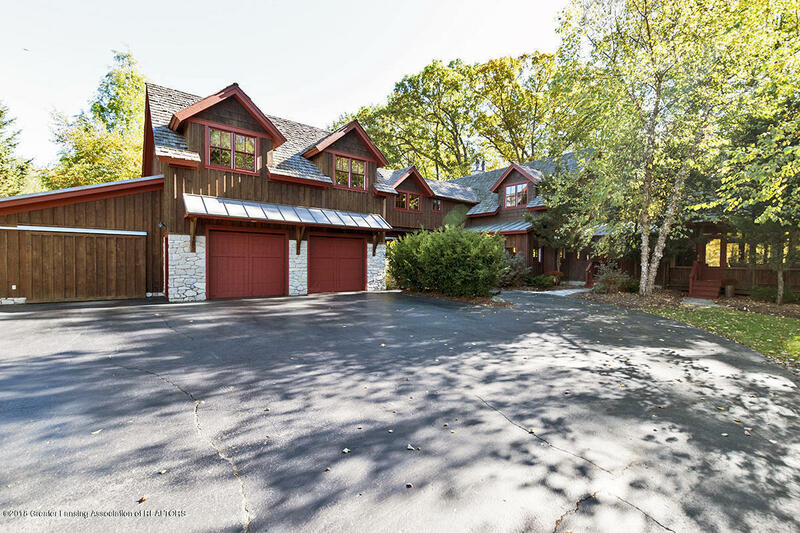 As you approach on the circular drive you're impressed with the rugged exterior of limestone, cedar board a nd batten, cedar shakes, and terne metal. 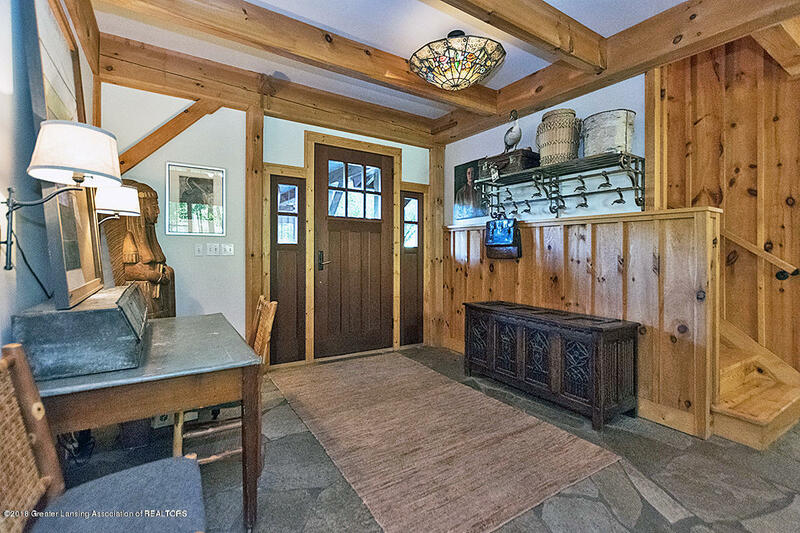 The 7+foot solid redwood entry door opens to a large foyer with heated slate floors that flow throughout the first level. 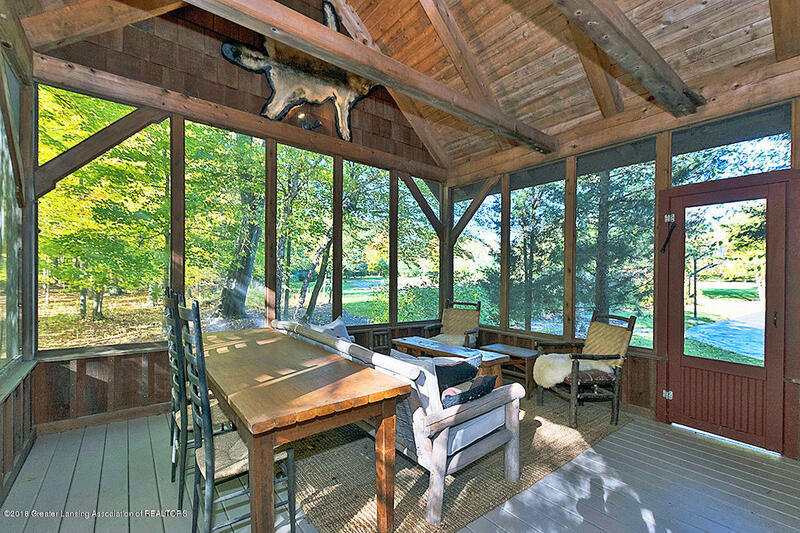 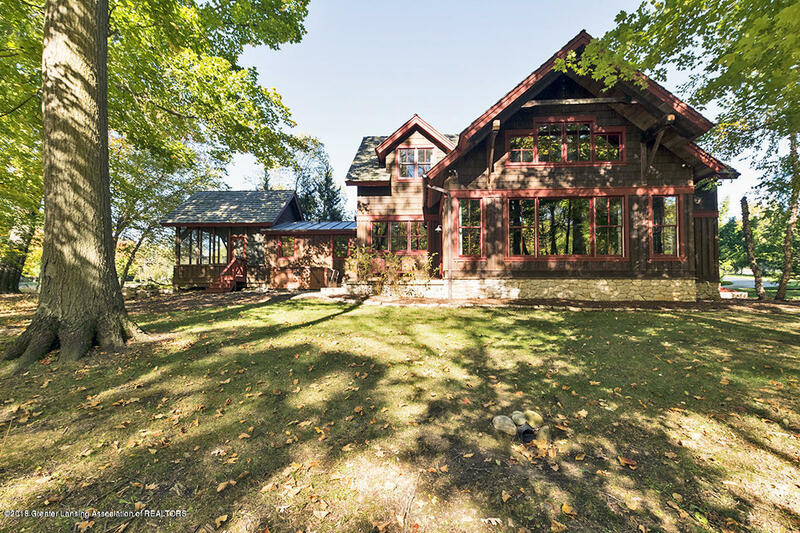 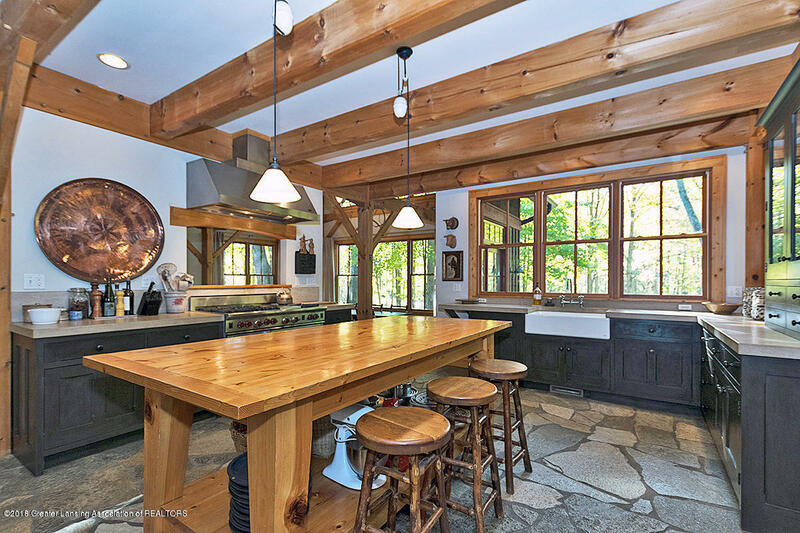 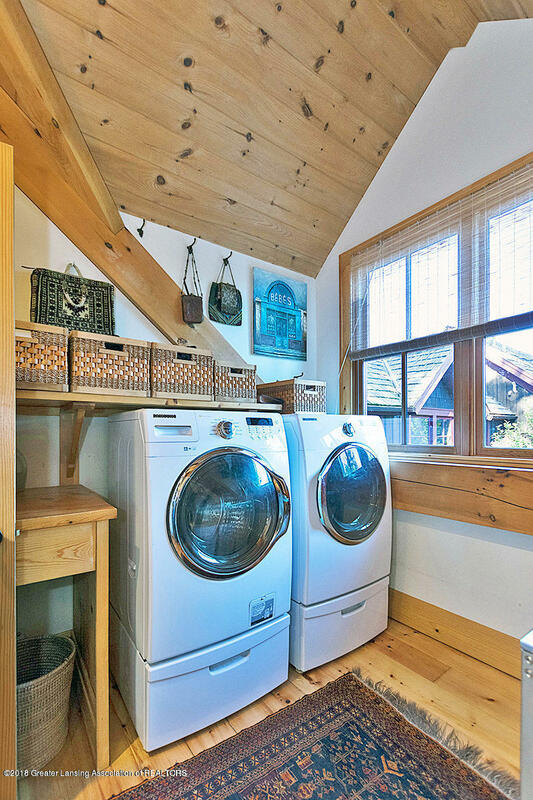 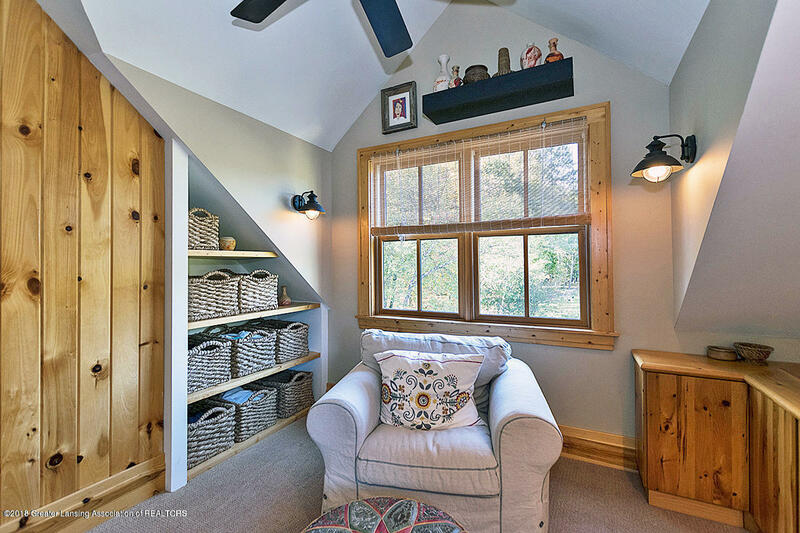 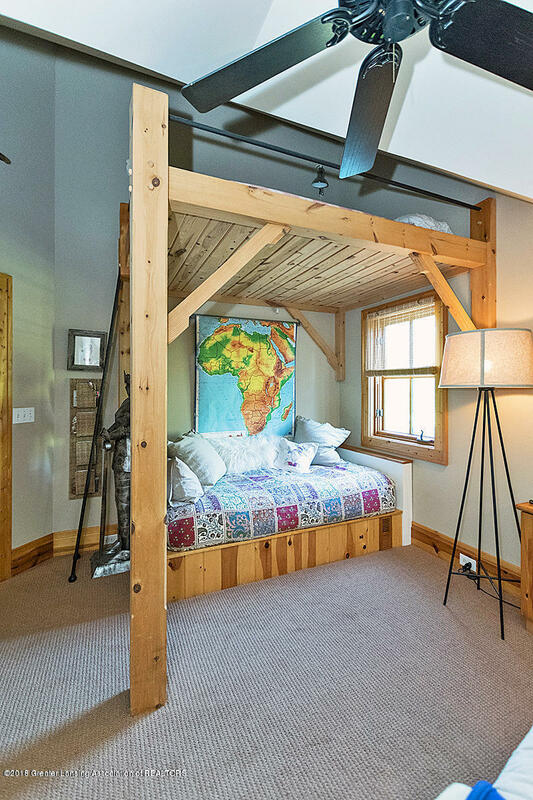 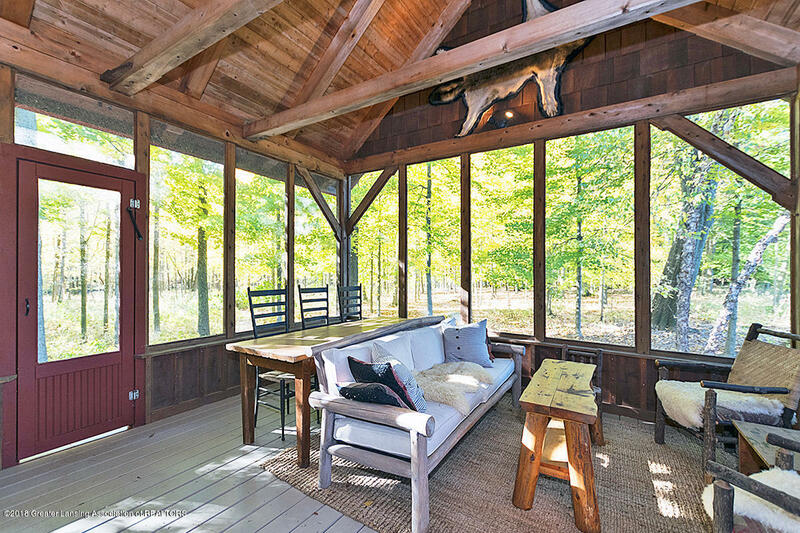 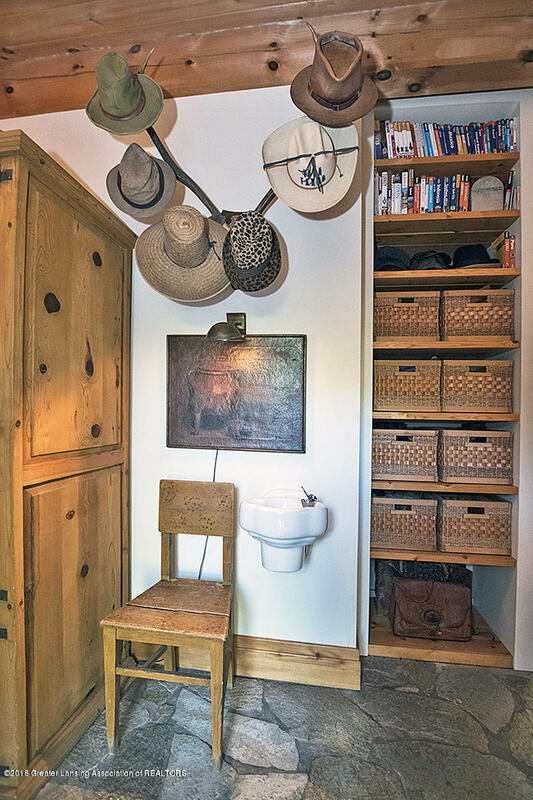 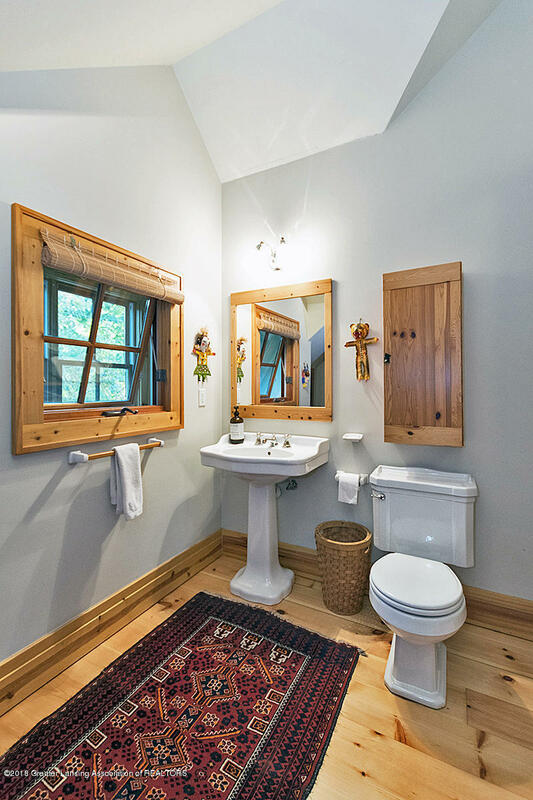 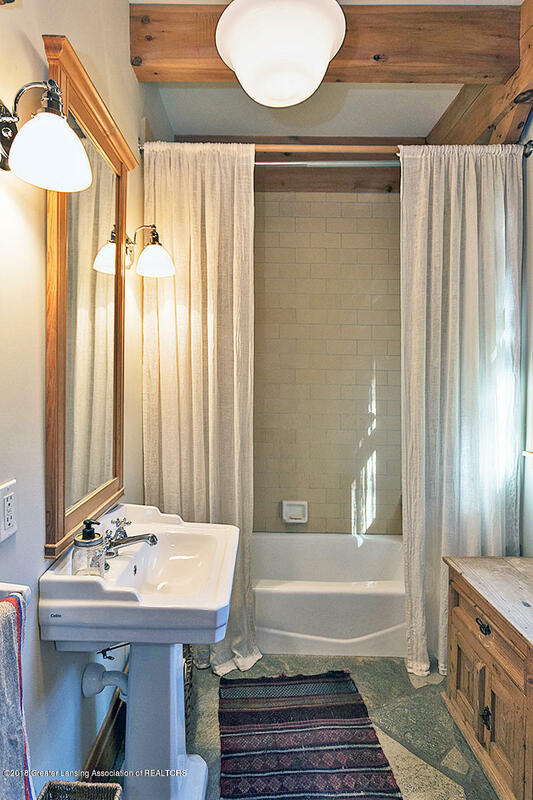 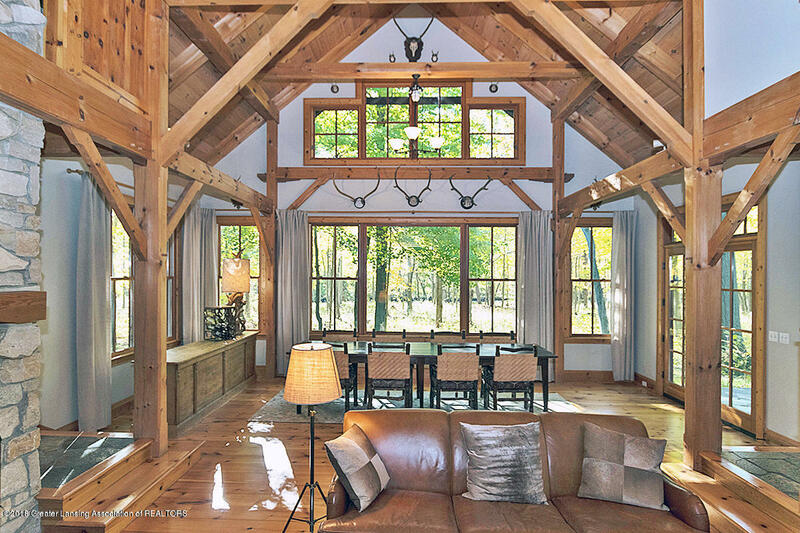 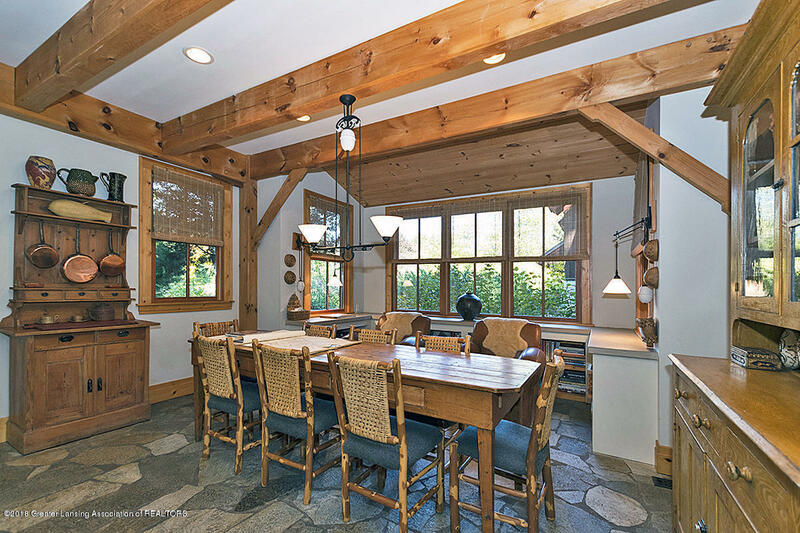 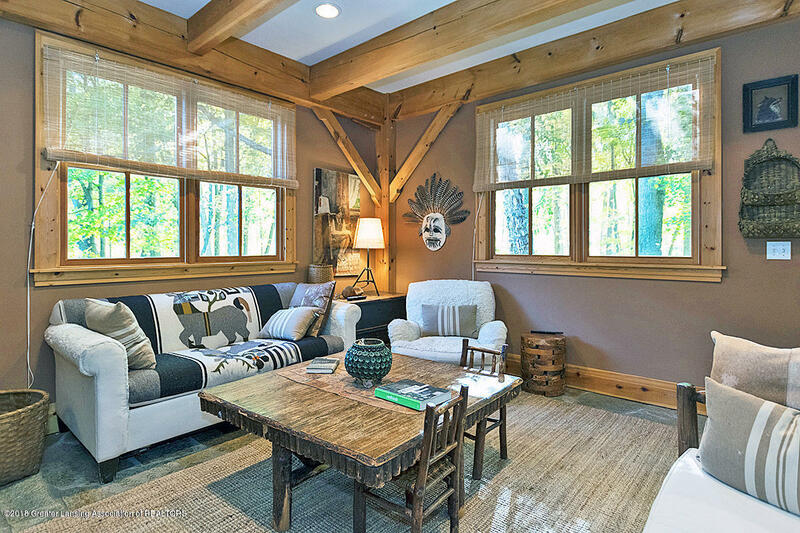 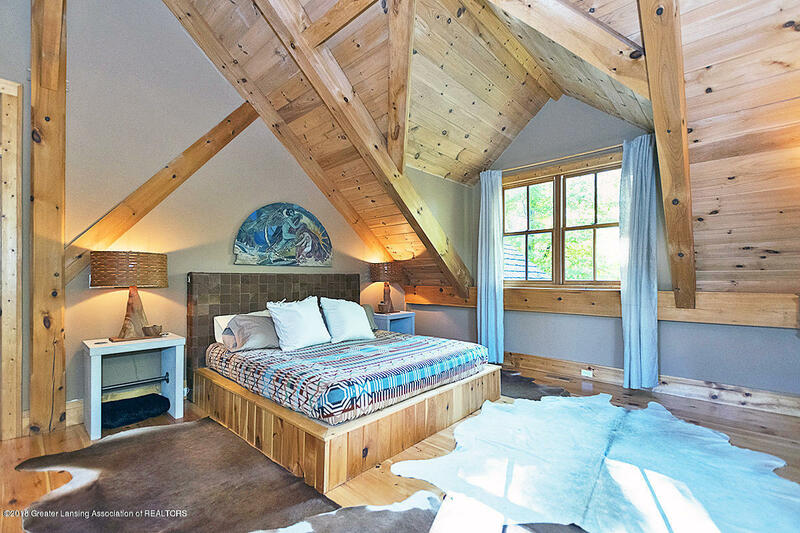 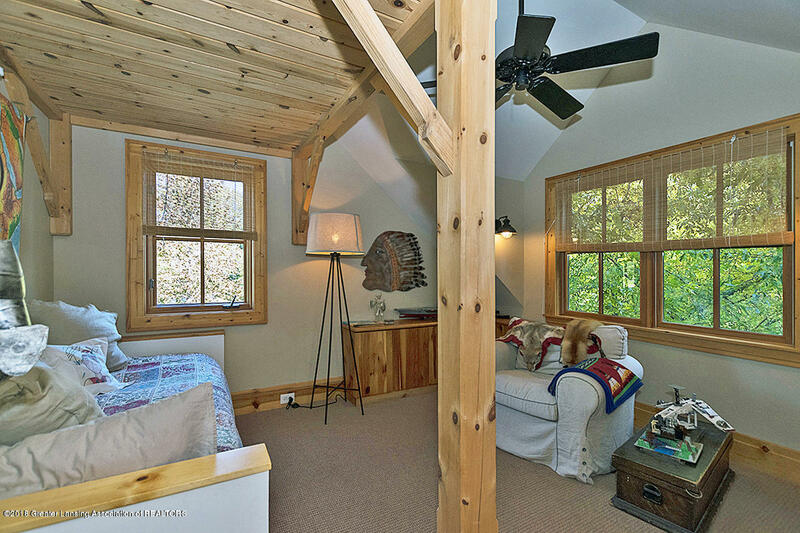 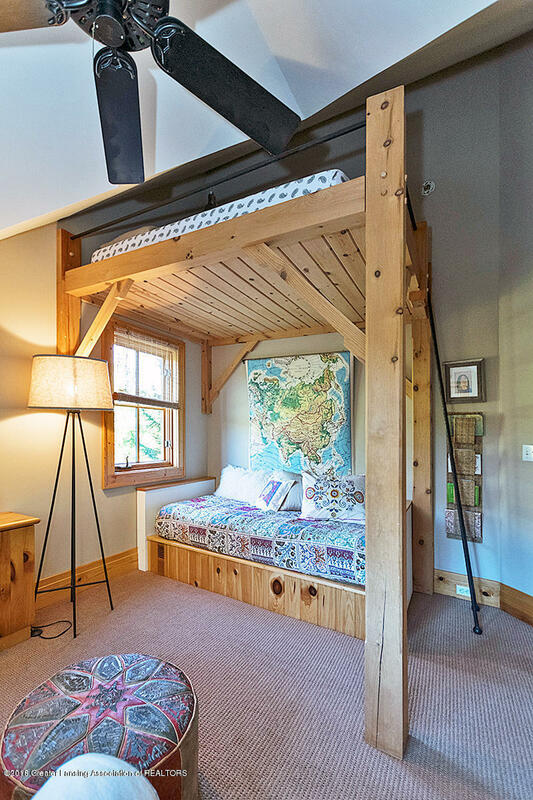 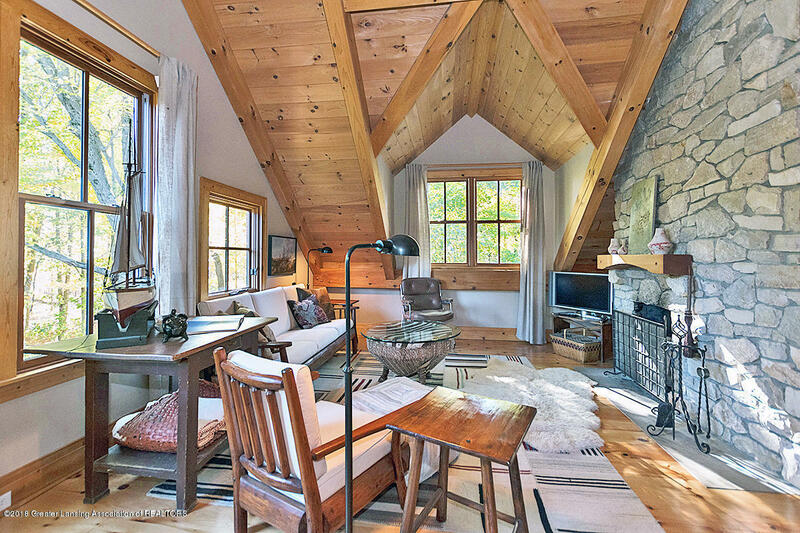 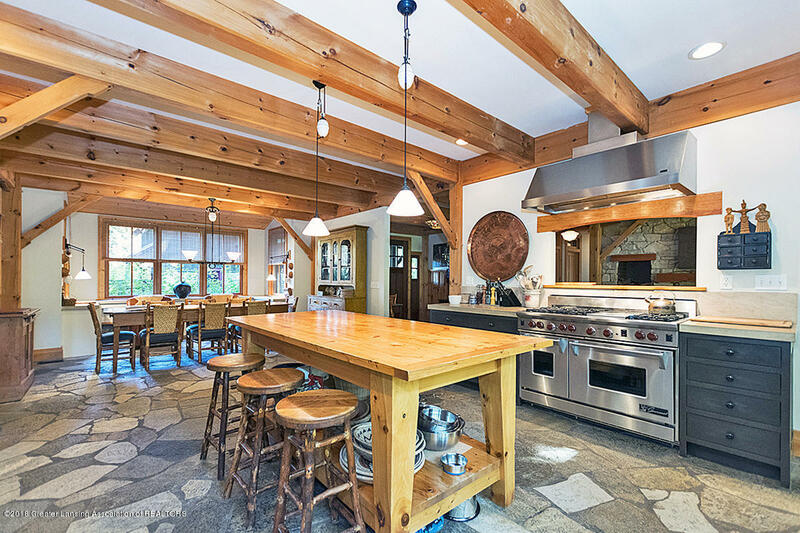 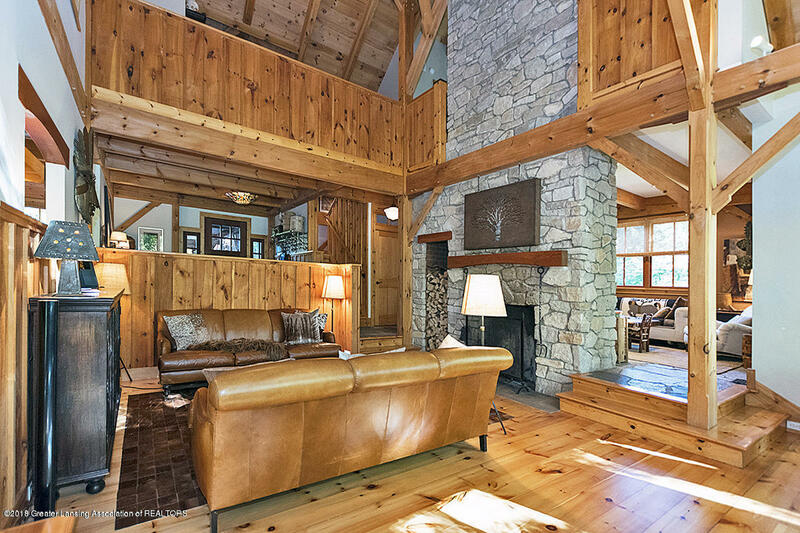 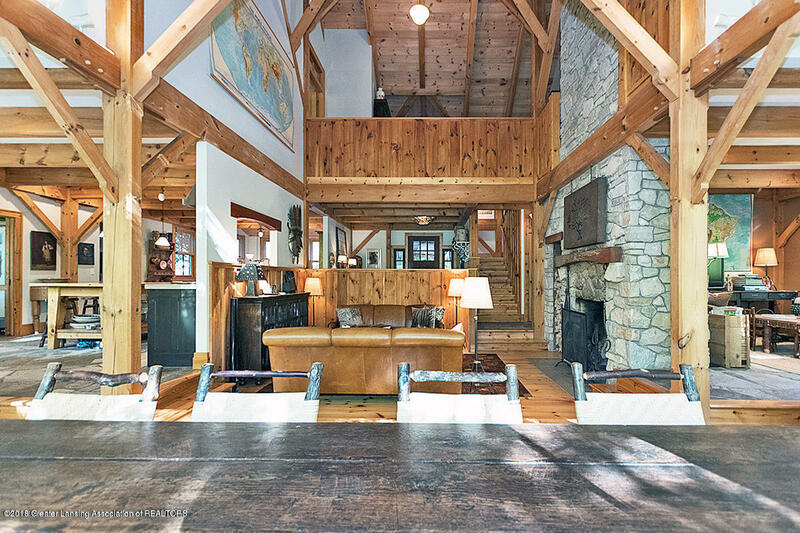 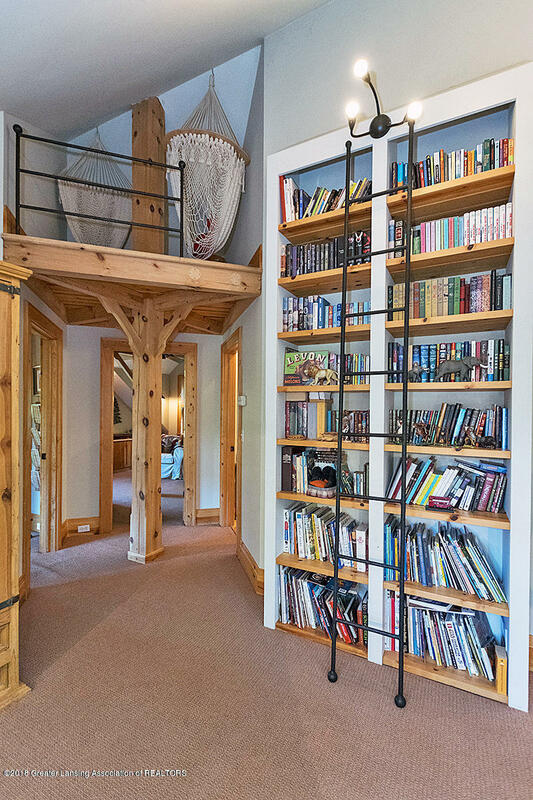 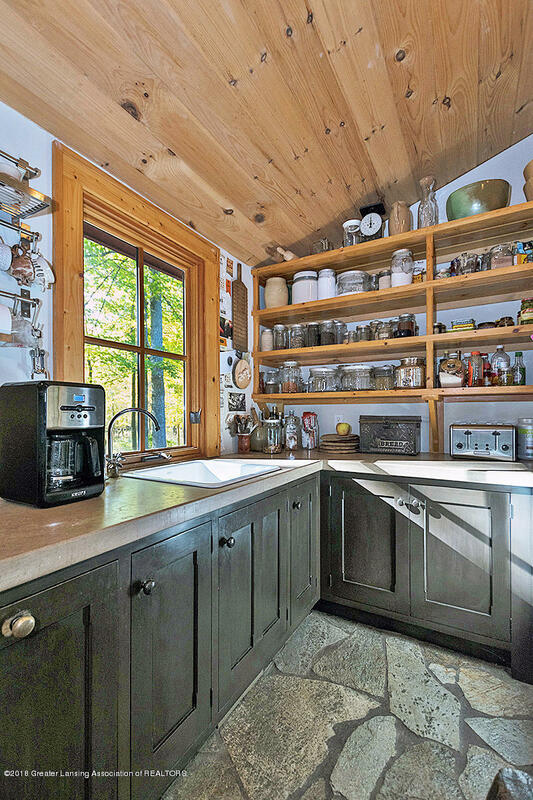 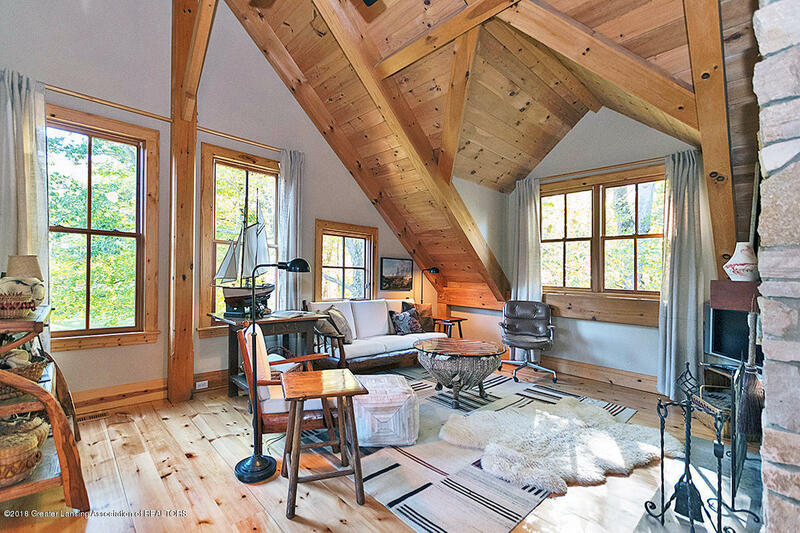 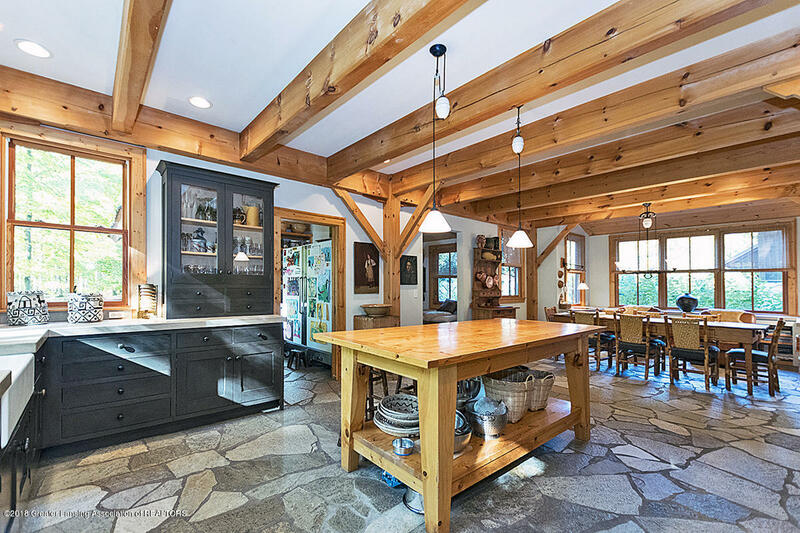 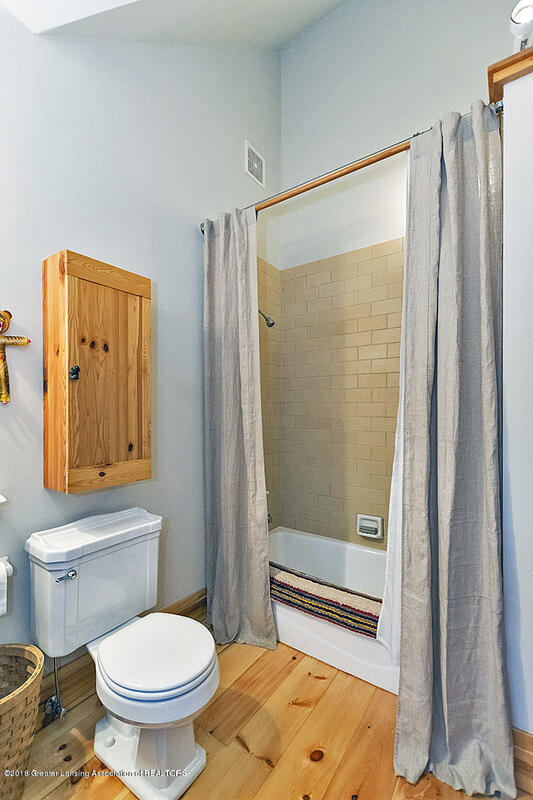 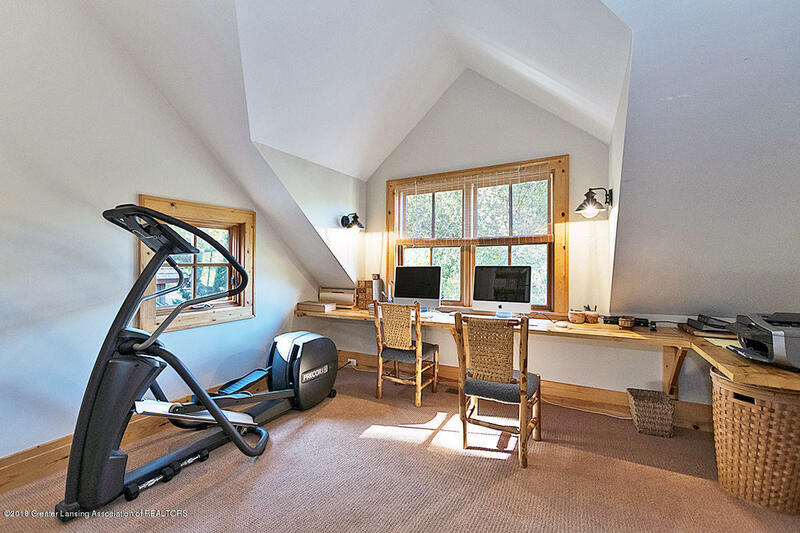 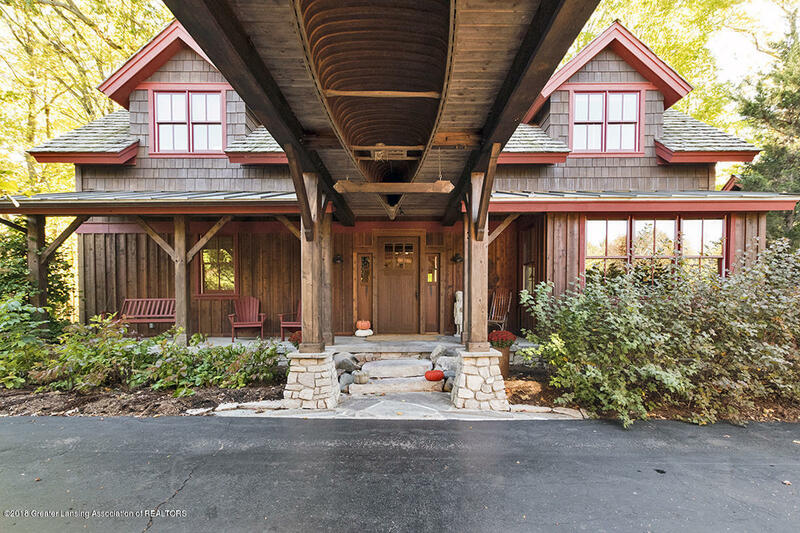 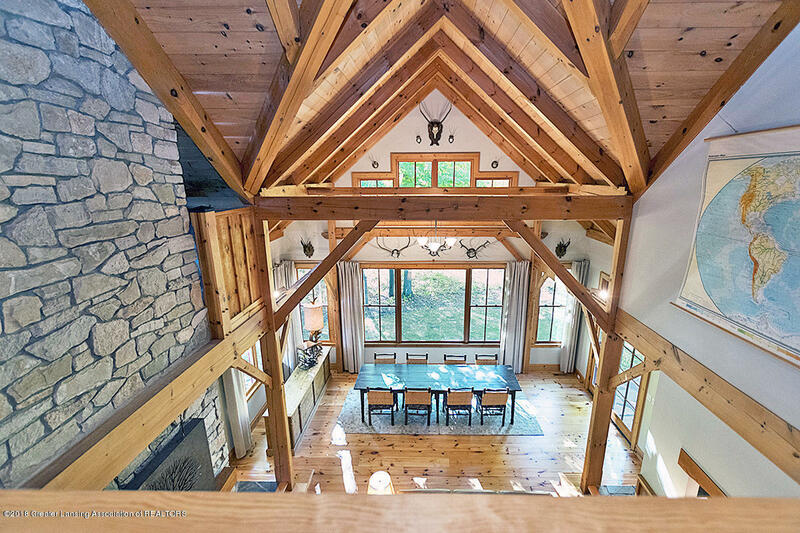 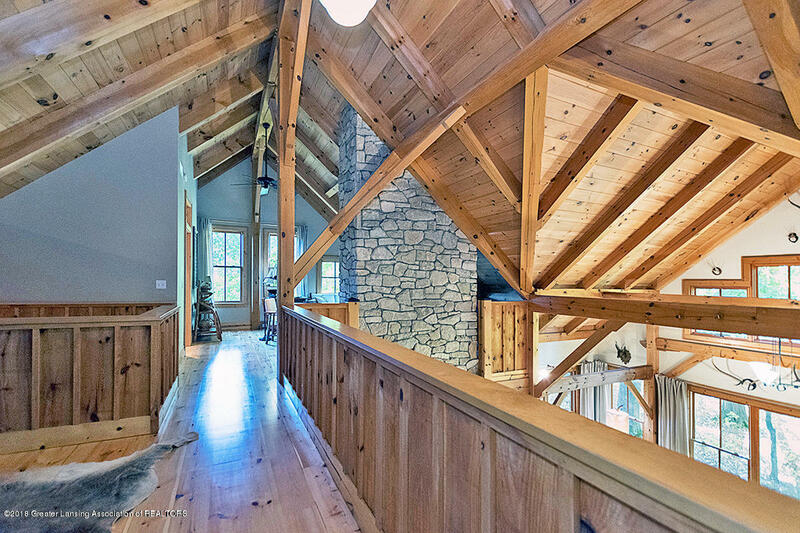 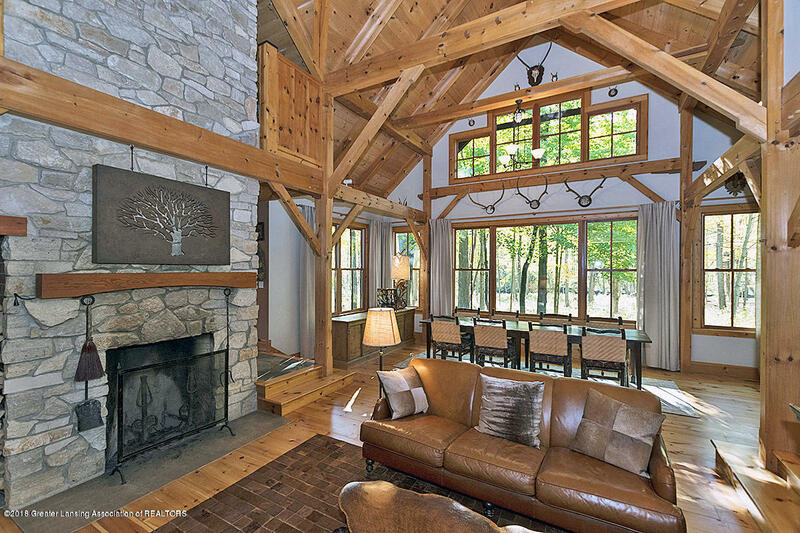 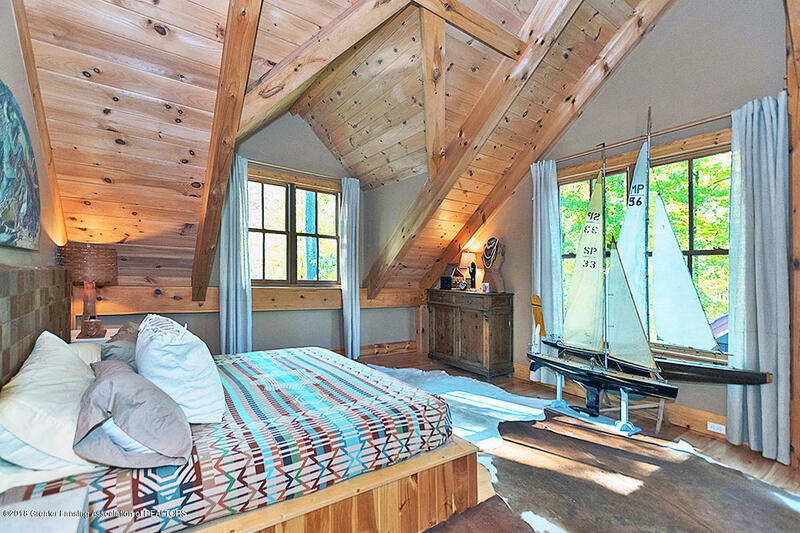 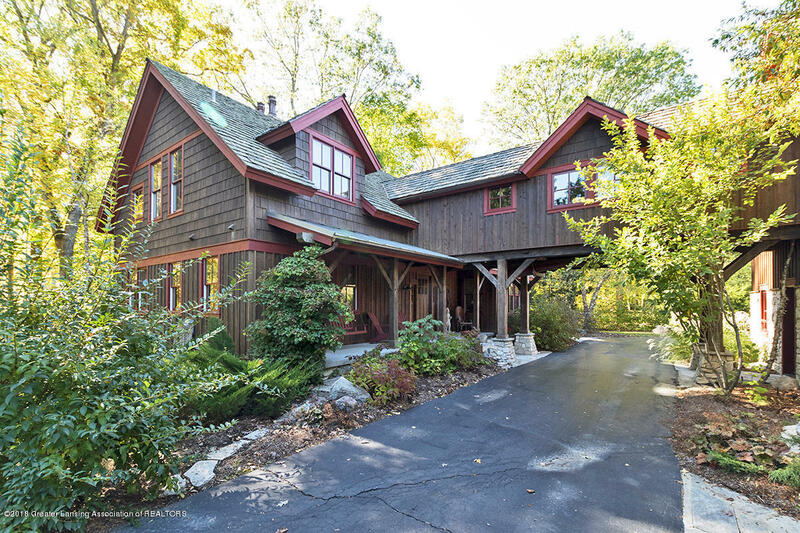 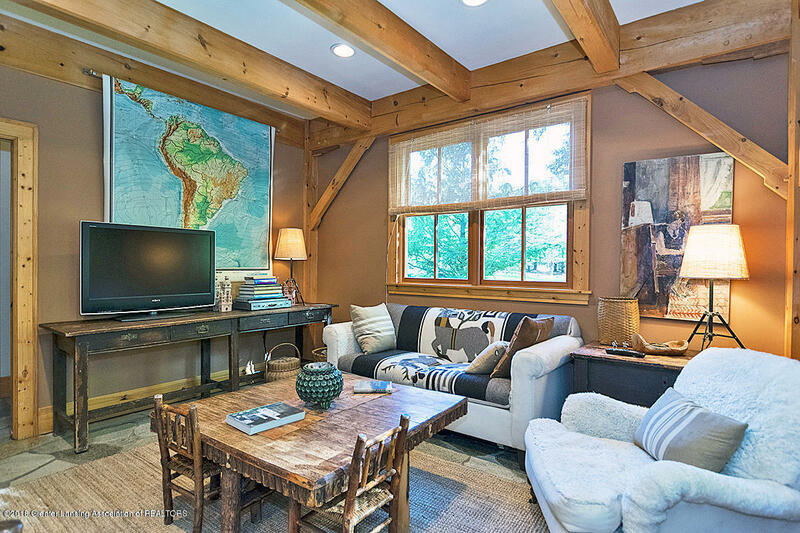 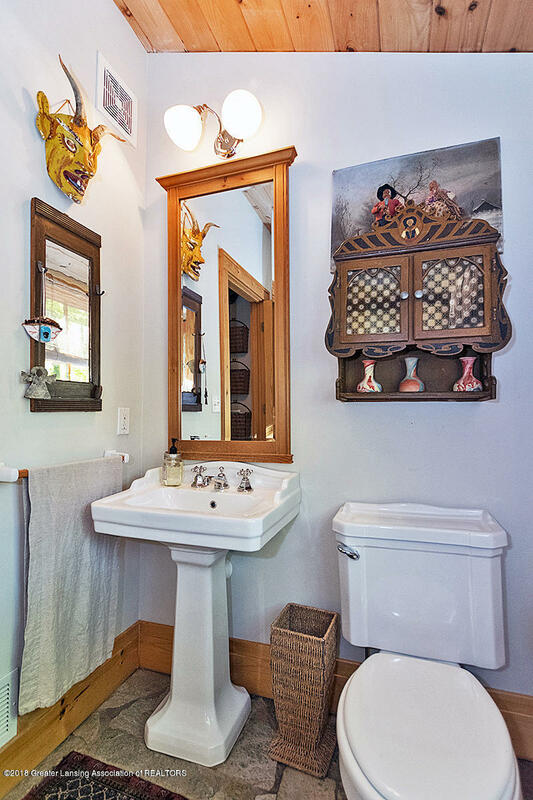 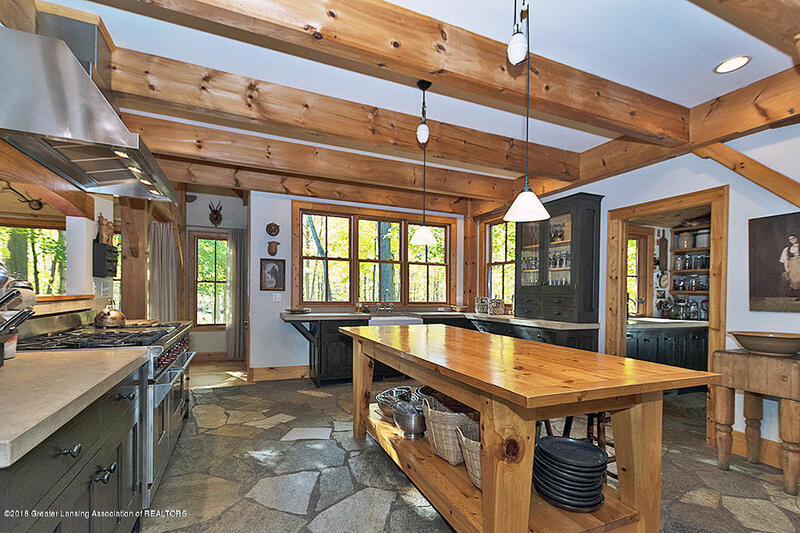 Ahead is the dramatic 24x26 great room with exposed pine timber beams and wide river views. 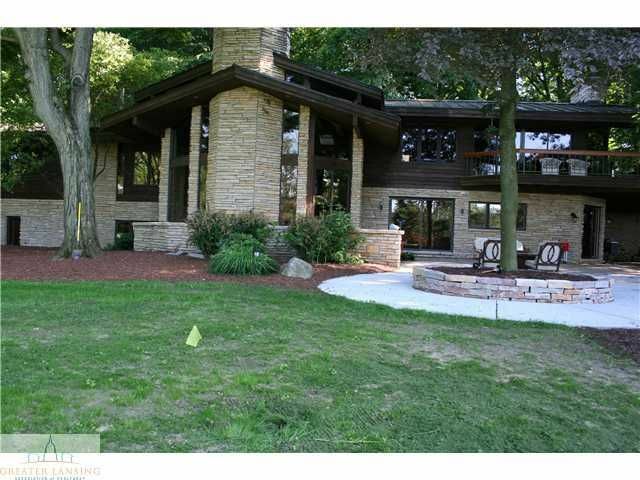 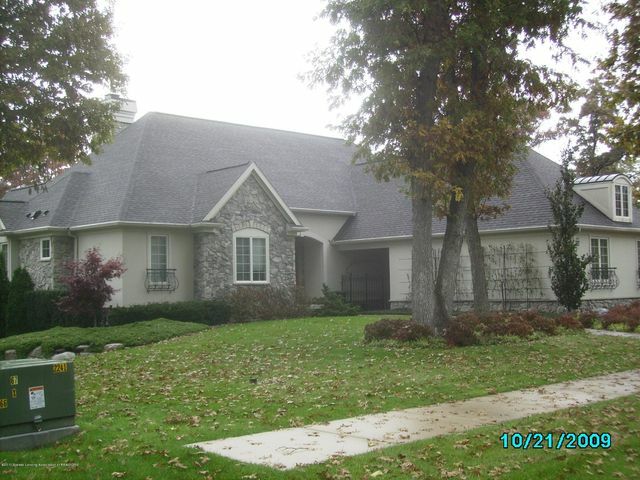 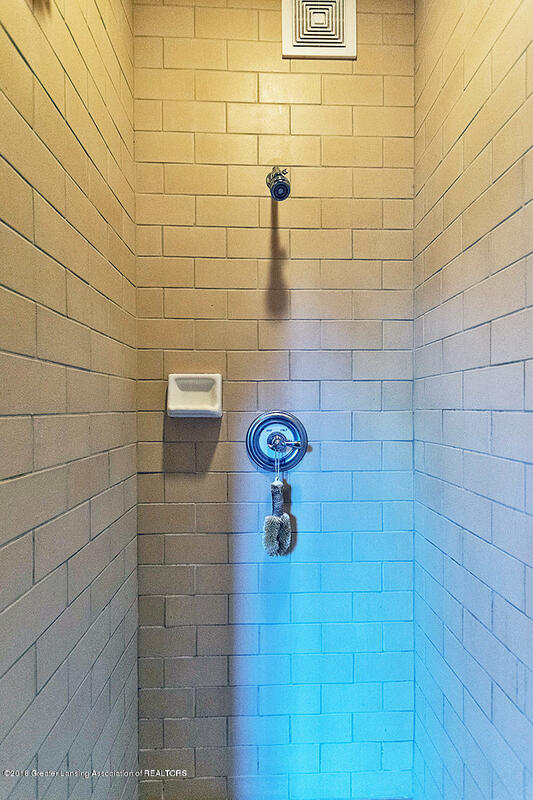 I want to see 942 Cherry Valle Ln!